Climate-Friendly Coal Technology Works But Is Proving Difficult To Scale Up Capturing carbon emissions from coal plants would reduce coal's effect on climate change. But high costs and other factors have stymied efforts to use that technology at more U.S. power plants. The Kemper County Energy Facility in Mississippi is one of the country's most ambitious carbon capture projects. When President Trump signed an order to roll back climate policies, he promised more jobs for coal miners. "My administration is putting an end to the war on coal. Gonna have clean coal, really clean coal," Trump said in making the announcement at the Environmental Protection Agency headquarters Tuesday. There is a big effort to do reduce coal's effect on climate change by capturing the carbon emissions from coal plants before they escape into the atmosphere. In 2014, coal generated only about 39 percent of the electricity in the U.S., but was responsible for about 77 percent of the carbon dioxide emissions from power plants, according to the EPA. 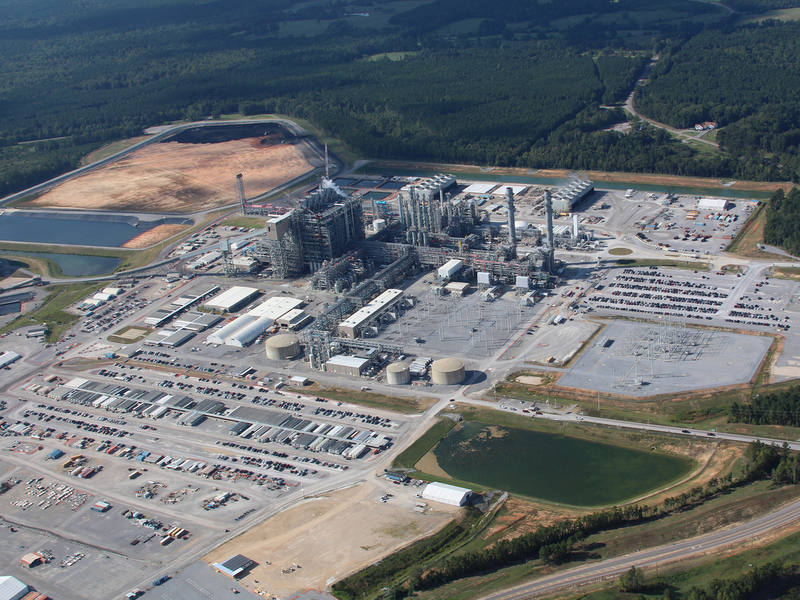 Mississippi Power's Kemper County Energy Facility is the most ambitious carbon capture project in the U.S. right now. It's a new coal power plant, built from the ground up. But there have been a few problems during construction. Originally the plant was estimated to cost $2.4 billion. Now the price tag is nearly three times that at about $7.1 billion. It's also nearly three years behind schedule. 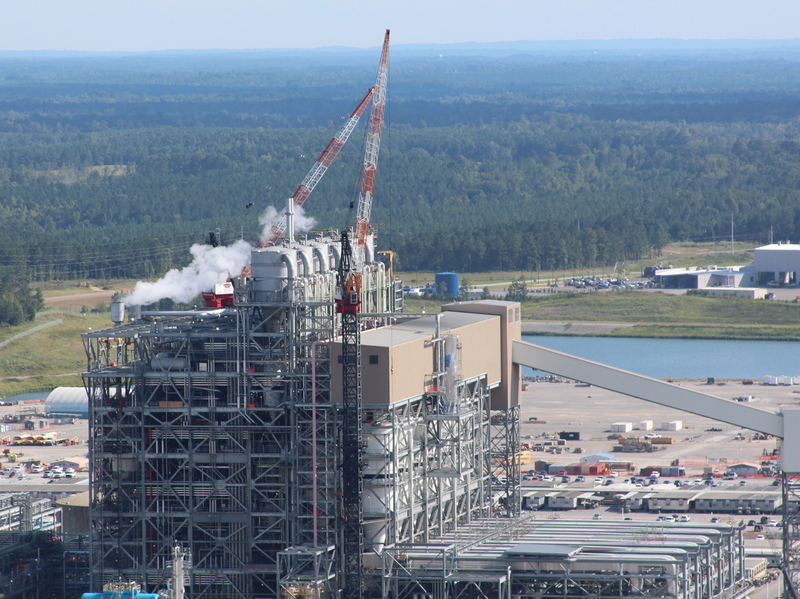 At Kemper, Mississippi Power has built an entirely new coal plant from the ground up. But the plant, which uses carbon capture technology, has experienced missed deadlines, cost overruns and other problems. The utility got some help paying for the project, including a $270 million grant from the U.S. Department of Energy. But because the plant was not finished by a 2014 deadline, Mississippi Power had to pay back $133 million in investment tax credits. "What I think is important to remember about those cost overruns is that they didn't really have much to do — if at all — with the technology of carbon capture," says John Thompson, director of the Fossil Transition Project at the Clean Air Task Force, an environmental advocacy group. Thompson says most of the problems are with another part of the plant where coal is turned into a gas before it's burned. Some environmental groups don't support carbon capture projects like this. They want coal left in the ground and renewable energy to take its place. But the wind and solar industries likely won't grow fast enough to meet the world's energy needs for decades. Thompson worries that in the meantime climate change will harm the natural areas and endangered species environmentalists have worked for a century to protect. "All that [progress] can change with just a few degrees of temperature rise on the planet, and I'm just not willing to bet everything that we've worked for as an environmental movement," he says. There are some carbon capture projects that have had an easier time getting off the ground. Outside Houston, the company NRG Energy has built its Petra Nova project. Unlike Kemper, it's been added on to an existing coal plant. It uses a chemical process to capture carbon dioxide before it's released into the air. As with the Kemper facility, the carbon dioxide from Petra Nova is piped to a nearby oil field. There, it is injected deep underground where the CO2 makes existing wells more productive. "The oil field is over a mile deep and is a formation that's held hydrocarbons for millions of years," says David Greeson, vice president for development at NRG Energy. He says the carbon dioxide is injected into that formation, "and that's where it will remain for the next millions of years." 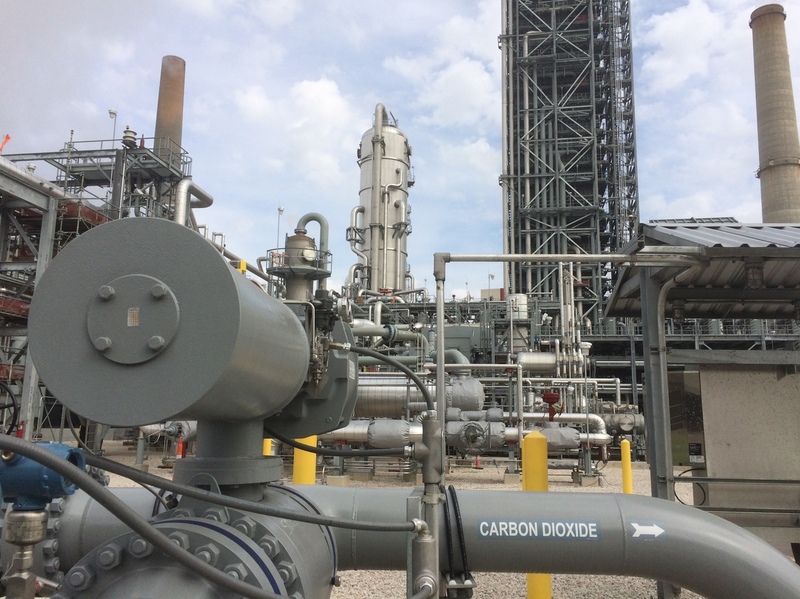 NRG Energy's Petra Nova project outside Houston is successfully using a chemical process to capture carbon dioxide before it's released into the air. This is a common practice in the oil business called "enhanced oil recovery." It turns CO2 emission from a liability into an asset because oil companies will pay for it. For Petra Nova, that means NRG was able to build this $1 billion facility without increasing electricity rates — that is, if oil prices don't collapse. "We're really counting on the oil market being at $50 or more over the next 10 to 15 years," Greeson says. Overall, the Petra Nova project captures only about 10 percent of the emissions from this one coal plant. Still, NRG says that's about 5,000 tons of carbon dioxide per day. The company says that's the equivalent of taking more than 350,000 cars off the road. The coal industry still hasn't signed on to the idea that climate change is a huge problem. But if the country wants coal companies to reduce CO2 emissions, American Coal Council CEO Betsy Monseu says her industry will need more help. "The U.S. supported renewables development with tax credits of about $37 billion over the period of 2010 to 2014 and coal technology received $1 billion during that time," she says. And the industry believes it has a strong argument to justify more subsidies to capture carbon dioxide. The Energy Information Administration says the U.S. has the largest coal reserves in the world — enough to supply the country for 222 years at current mining levels. With a president who clearly wants to help coal companies thrive, Monseu says the industry is optimistic about its future.